If you’re anything like me you’ve probably spent the last few weeks window shopping – both physical and online – for potential Christmas gifts. I don’t like to make it easy for myself though. I enjoy visiting as many shops as possible, so I can make sure I get a good idea of what’s on offer this year. But that’s time consuming and if I can help anyone save time, or recommend something they haven’t thought of, then my blog’s work has been done. So without further ado, here is 2018’s ‘The Scandi Lover Gift Guide’. And I’ve made sure to pack it full of my favourite products from the year. Enjoy! As you can see I’ve focused on brands and products from a range of price points. I’ve included items I have in my own home, so you know that I can vouch for their quality and assure you that they are worth purchasing. 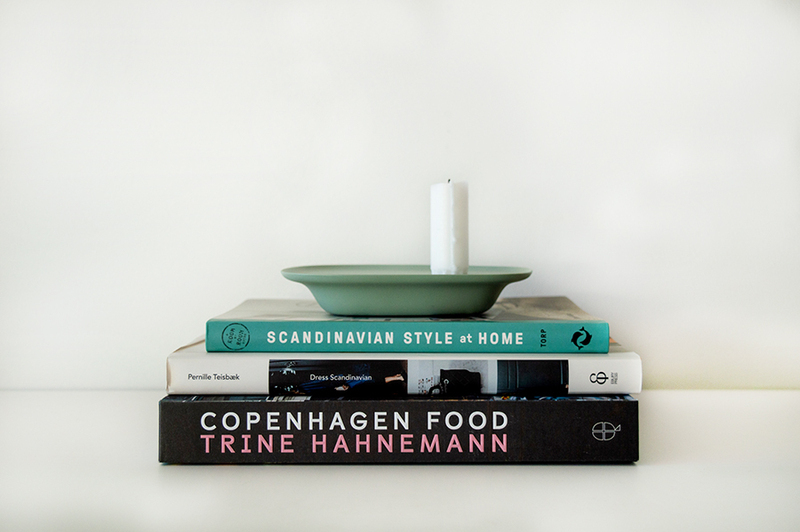 I included three of my favourites books this year, as I think they fit perfectly into any Scandiphile’s lifestyle – you have interior design tips for the home by Bungalow5DK, timeless fashion advice by Pernille Teisbaek, and a tour of Copenhagen with recipes by Trine Hahnemann. 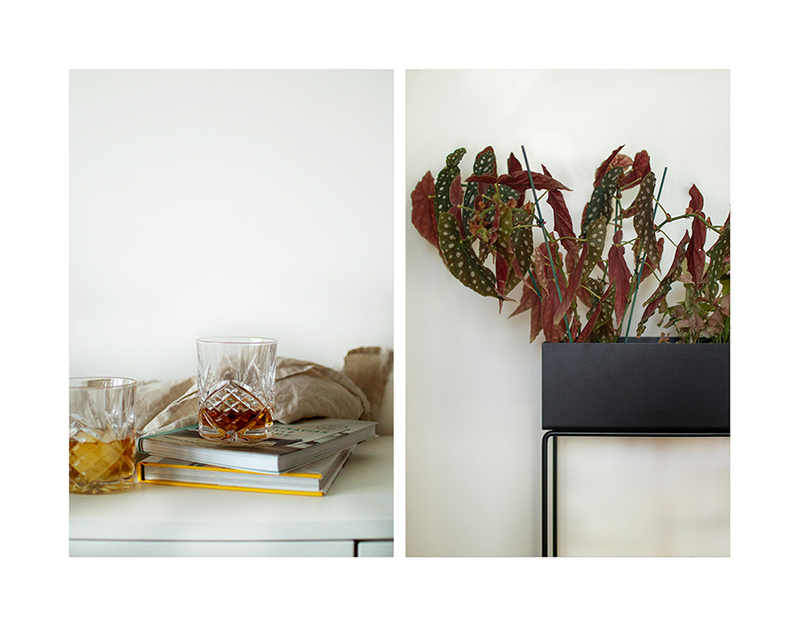 I also added some bits for the home, to create that perfect ‘hygge’ feeling. What better way to do that than with a glass of something delicious, some candle light, and a mini urban jungle? And who could forget the accompanying Christmas food? 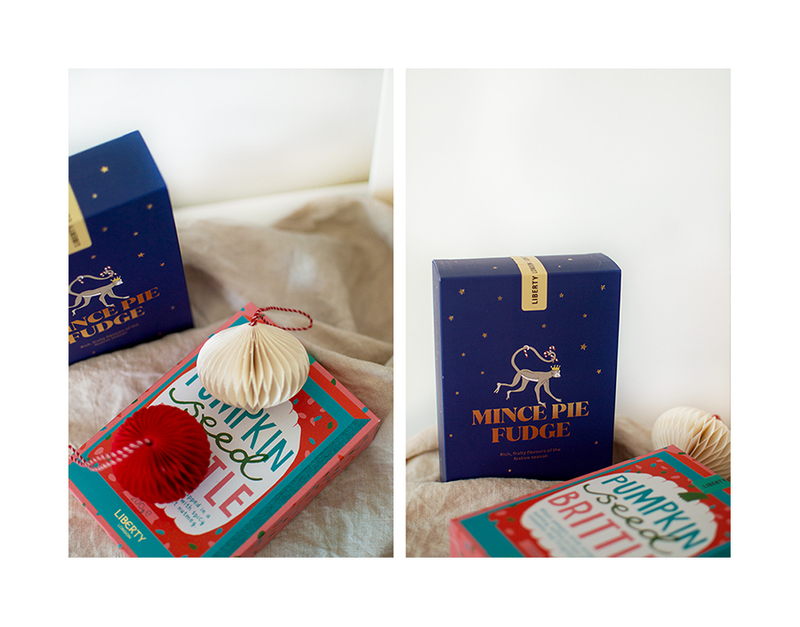 Liberty has such a beautifully packaged selection this year, I couldn’t resist suggesting them. If you enjoyed The Scandi Lover Gift Guide, check out the rest of my Christmas Gift Guide series. Figuring out where to eat can be such a pain, whether it’s at home or abroad. I’m usually the one tasked with finding somewhere too. Thanks to my blog, my friends and family seem to think I’m the dictionary on everything food related. Enter me, having an anxiety attack because I feel like I have to come up with somewhere right there and then (read: in 60 seconds). So when I go away on holiday, I always make sure I do my research. I don’t want to be the person that relies on friends, or desperately asks Twitter on the spot. Plus you never really know if someone has the same tastes as you, and you don’t want to end up wasting money. Bad, expensive food is the saddest kind of food. Therefore I took my time (and knowledge of the internet) when we headed to Denmark recently. I was gonna boss those Copenhagen restaurants! I wanted to do my bit, and add a little suttin’ suttin’ to the array of Copenhagen restaurants posts out there. 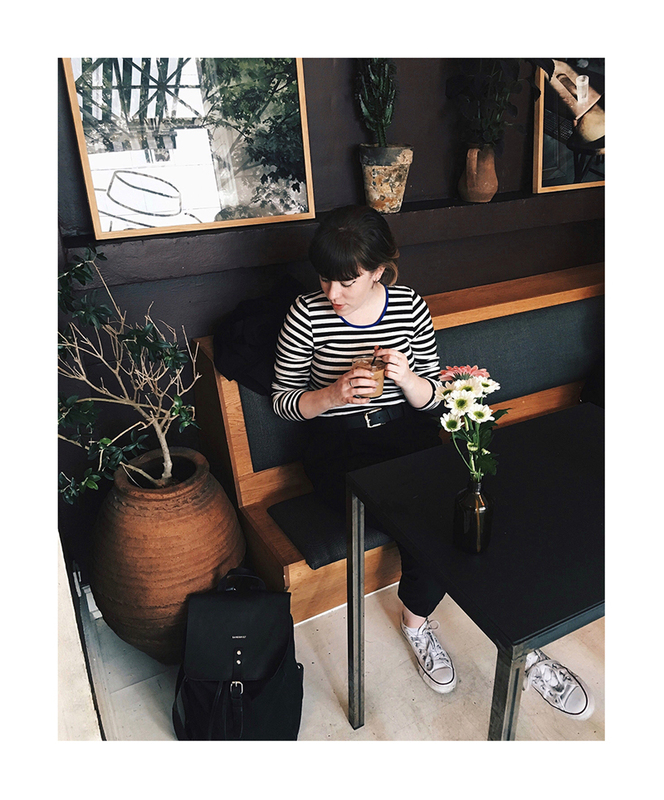 Blogs were a big part of helping me find some gems whilst I was in Denmark, so I thought I’d return the favour. I’ve chosen a variety of restaurants, and tried to pick ones I haven’t seen on other blogs/sites – minus one (bonus points if you know which one). Yes, this is a toast bar. For Brits, that translates to toastie bar. 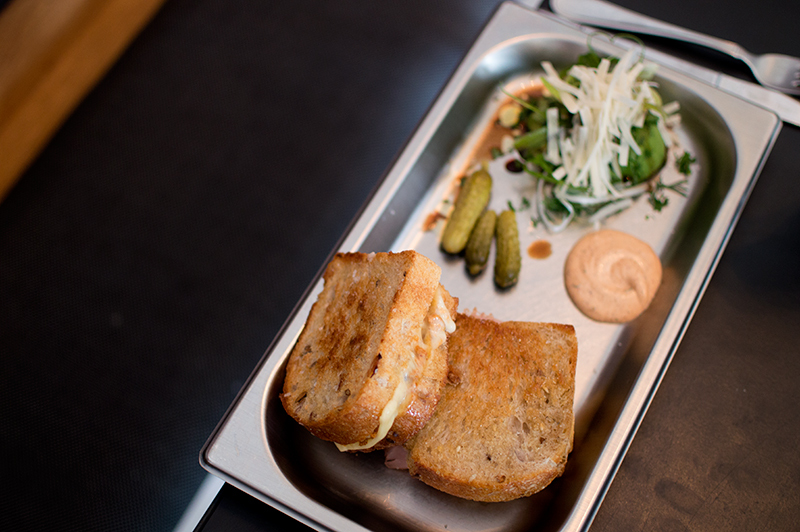 So you can expect lots of cheesy, crunchy deliciousness from this beautifully decorated restaurant. 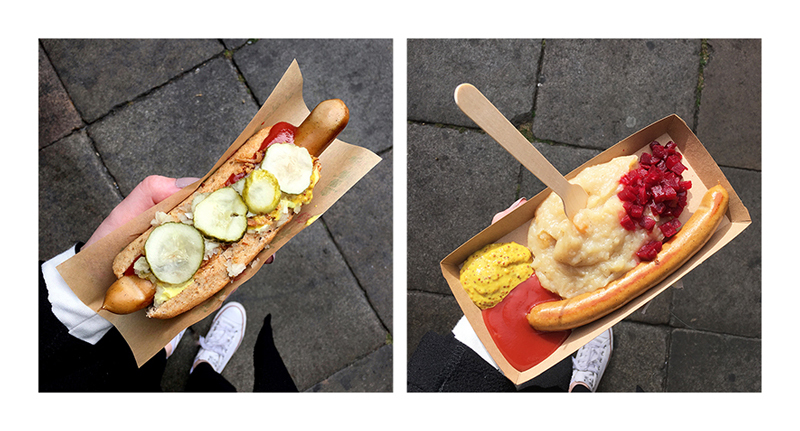 The Danes love their hot dogs, and this is one of the best known places to get one. You’ll find the trucks scattered around Copenhagen (the site has a map). These are a must-have, and they’re so affordable you’ll definitely have an excuse to try them all. 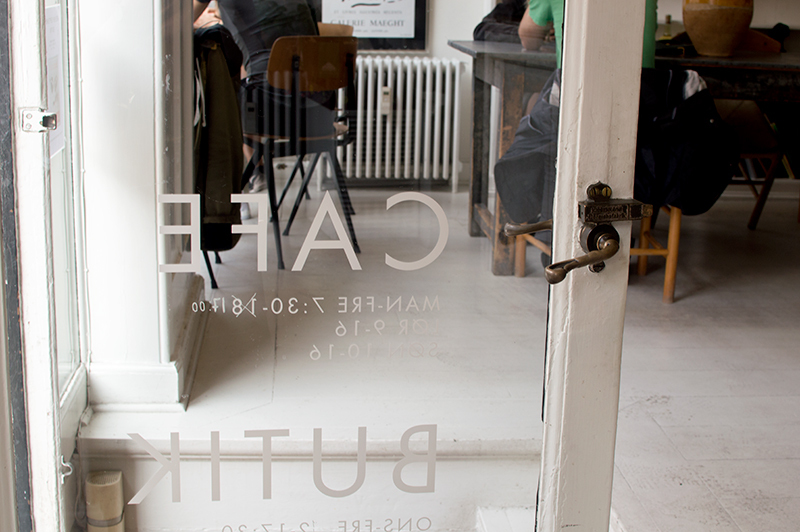 Conveniently located in The Christiansborg Tower, this restaurant is redefining Danish food. The decor is to die for, but don’t worry, the food doesn’t suffer. It is every bit as elegant and gorgeous as it’s surroundings. This one is for the Instagram lovers. Or just those that like their food with a touch of fun. After waiting in the queue (this place is super popular), you’ll be seated and given a piece of paper to fill out. You select your choice of dishes, then sit back and enjoy. It may look a little dated, but this is the place if you want to try traditional Danish food. The pub-like surroundings make for a relaxed environment, and the food is incredibly flavoursome. Try the Flæskesteg (Denmark’s national dish) – pork, crackling, caramelised potatoes, gravy, cabbage, and pickled vegetables. Bon Appétit! Or as they say in Denmark, ‘Velbekomme’! 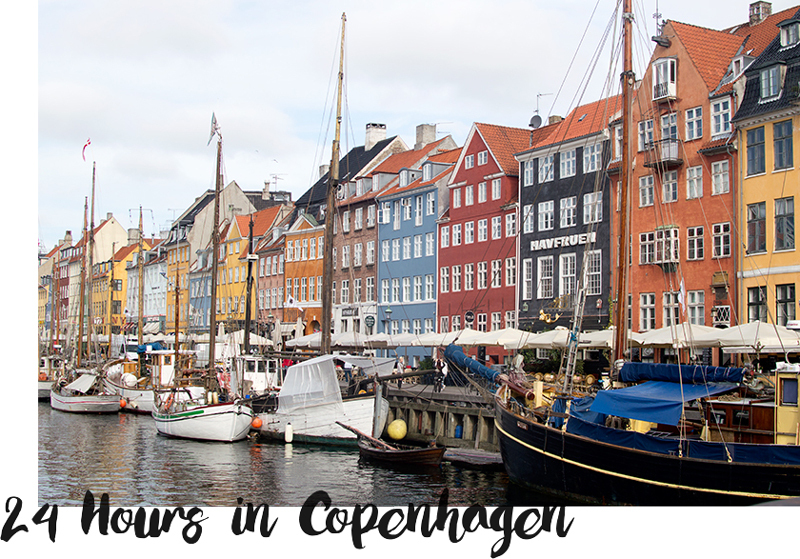 Don’t forget to check out my other Copenhagen travel posts! If you hadn’t already picked up on it, I’m a bit of an architecture geek. Unfortunately not the kind that has any knowledge on how to build a structure etc. 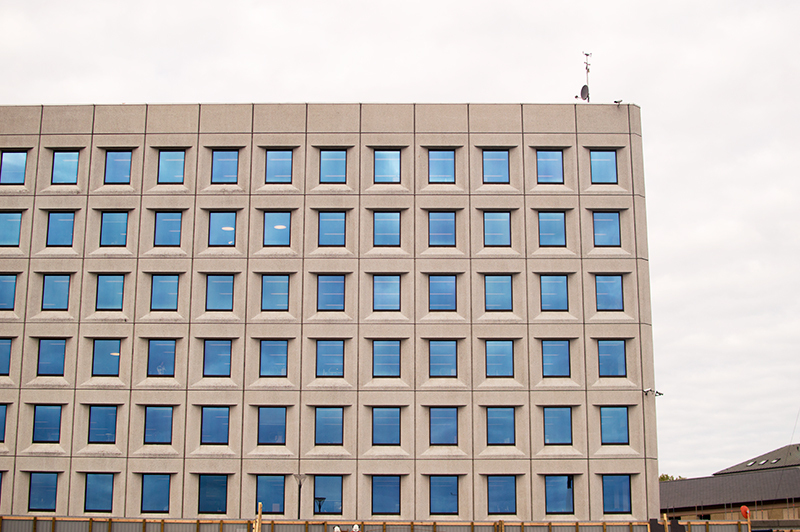 Rather the kind that stands outside pretty (art deco, brutalist etc) buildings with my mouth gaping open – and my camera shutter clicking. I love spending my travels walking down streets and alleys. No I’m not up to anything dodgy, I just want to check out the buildings! Promise. 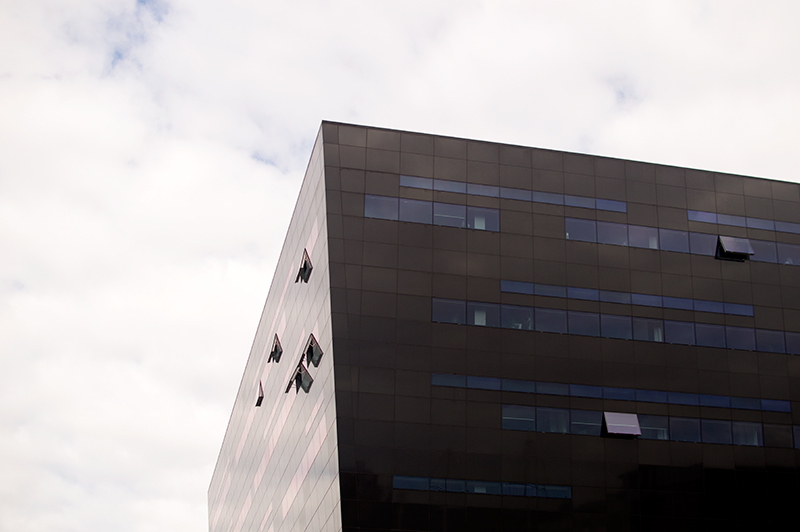 One of the main draws of Copenhagen – for me – was the architecture. 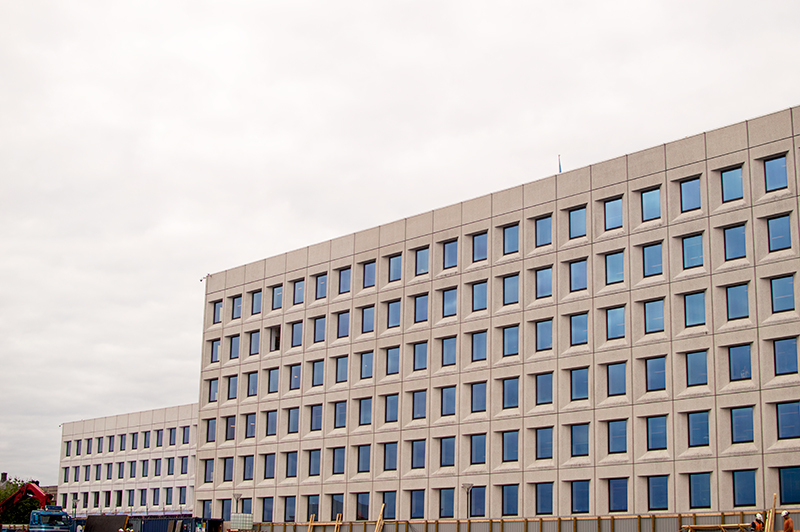 It’s not as if Danish architecture is anything new. 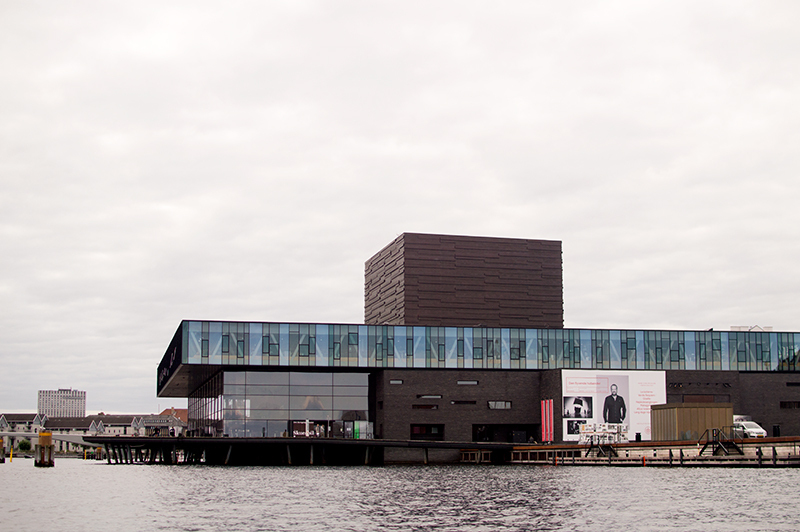 From traditional red roofed town houses, to contemporary glass structures, Danish architects are world renowned. The Sydney Opera House? Danish architect. The best house in the world? Danish architect. You catch my drift. 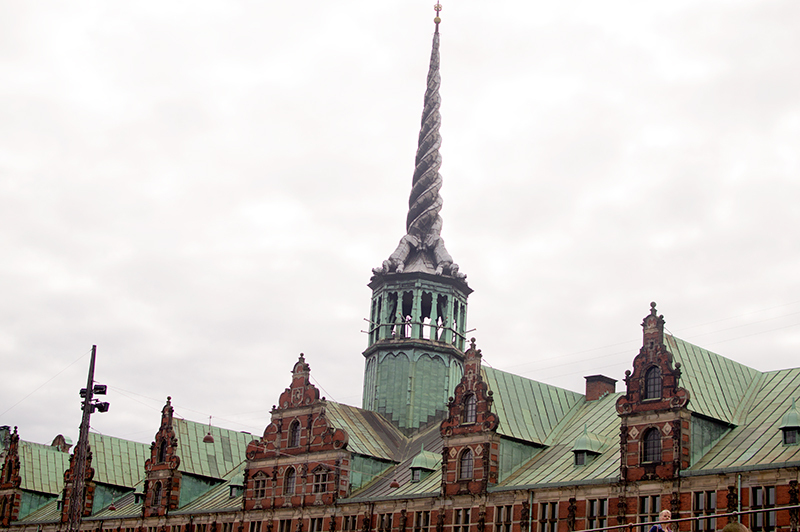 However I was eager to discover some of Denmark’s best structures, at home in Copenhagen. 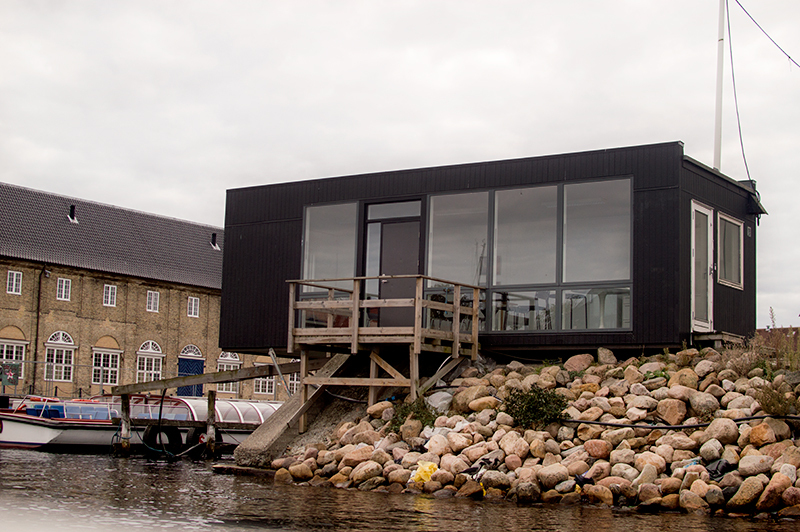 Danish Architecture: Love or Loathe? 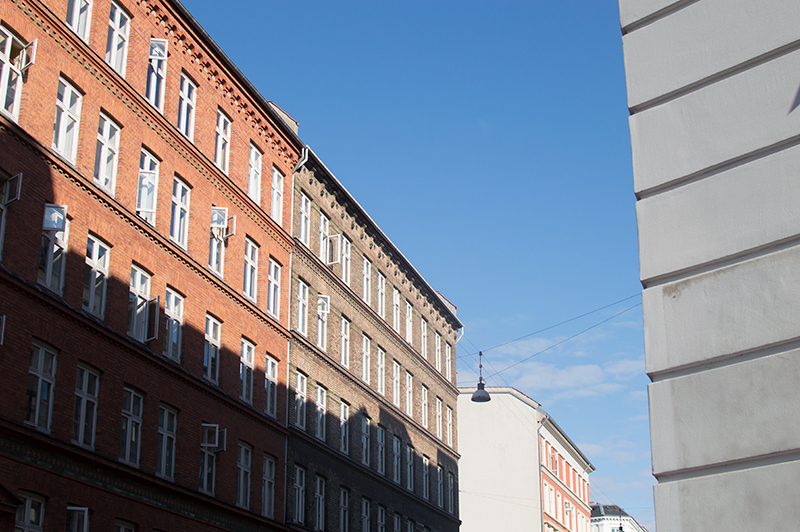 The residential buildings in Copenhagen are charming. They reminded me of Japan a little bit. But instead of having to look up, you also have to look down. You’ll often find cafes, shops and studios located in the basement of a building, if not at ground level. There’s also lots of space. 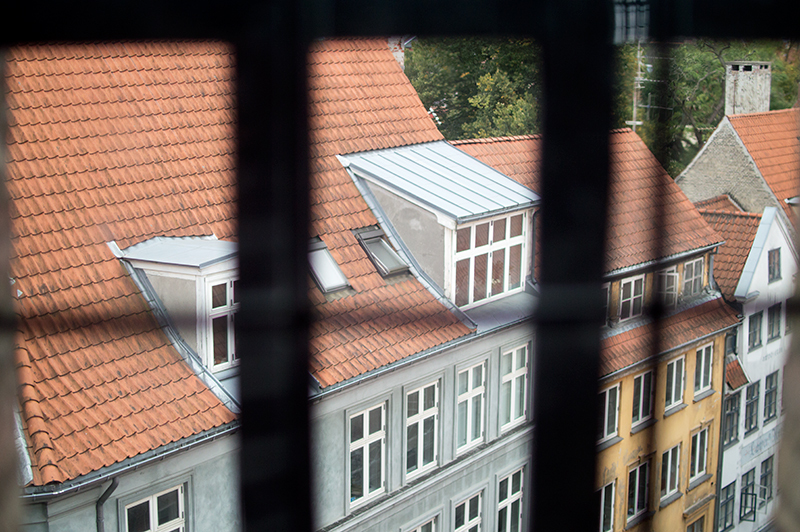 It seemed as though the buildings in Copenhagen were built with space in mind. Or maybe this is just some of Scandinavia’s well loved interior design at work. 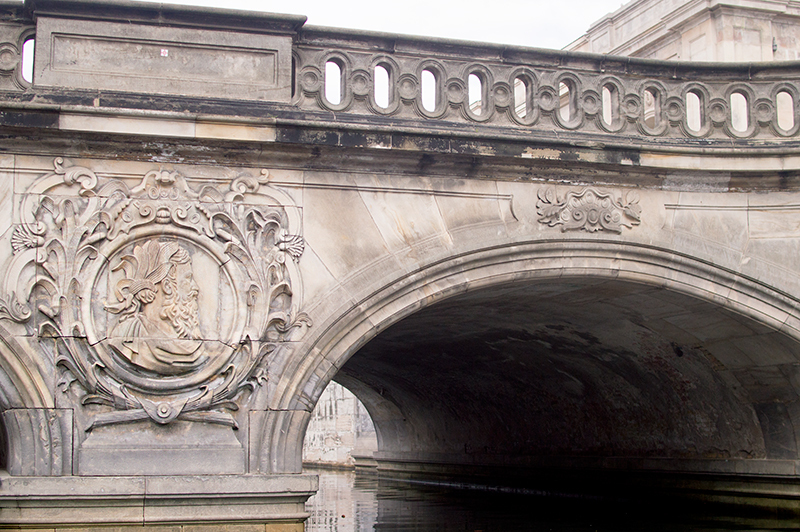 As for more formal structures, I was interested to learn (from the help of the internet, and a tour guide) about the methods and meanings behind them. From “blue buildings” with windows that reflect the sea, to diamond structures that reflect the sunlight and glisten, well, bright like a diamond. It’s hard not to fall in love with a city this transfixing. 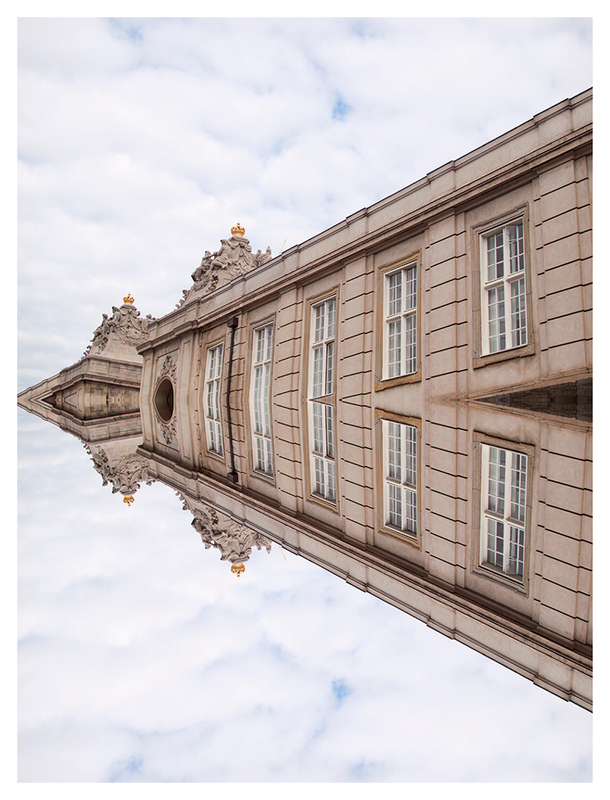 See more of my Copenhagen travel guides. 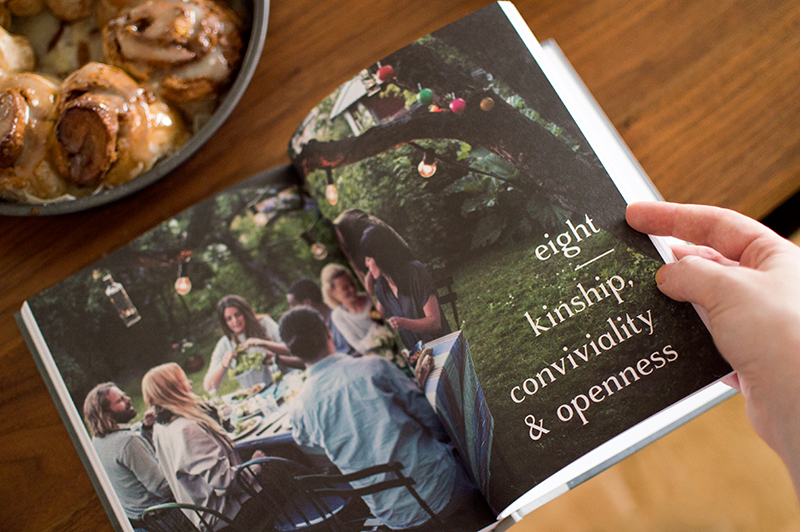 What is Hygge, And How Do I Get It? I have an odd fascination with words that don’t translate. It all started years ago,with 気持ちいい (kimochi/ii); a Japanese word that relates to a particular feeling of enjoyment. So when I heard someone talking about the Danish word hygge, I knew I had to investigate further. Hygge is not about buying a new throw for your sofa (although Wool Couture‘s is tempting). Nor is it about lighting a bunch of candles. Although both these things can contribute to a sense of hygge. Confusing, right? Well that’s because hygge is more of a concept, than an entity. It isn’t about material objects, it’s the sense of comfort you get from them. Well, amongst other things. It’s about creating a comforting atmosphere. A place where you feel at home. 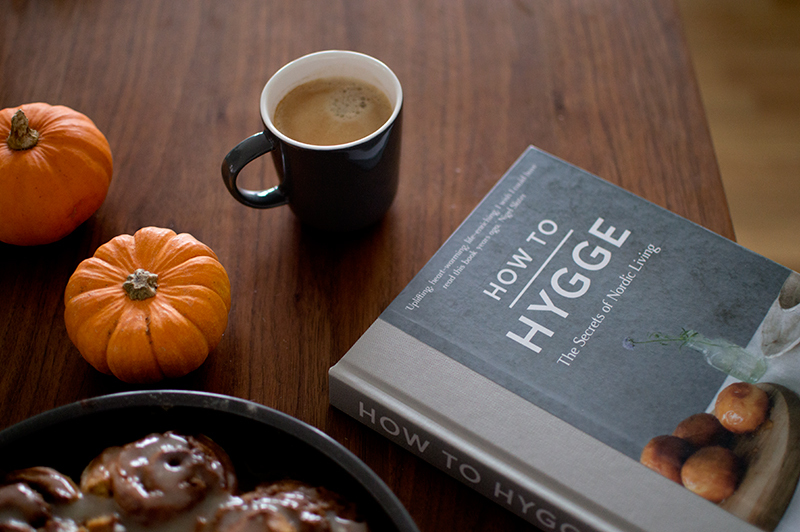 For those that fancy a little Danish in their lives (no I’m not talking about pastries or Mads Mikkelsen), hygge is relatively easy to achieve. It’s about taking a step back from our hectic lives, and taking the time to appreciate the little things. Simple things such as spending time with our families/friends, or trying out that recipe for cinnamon rolls that you always wanted to bake. During the colder, darker months, a lot of Danes spend more time at home. They invite friends and family over, enjoy some good food and drink, and relax. And yes, there may be a candle or two involved. 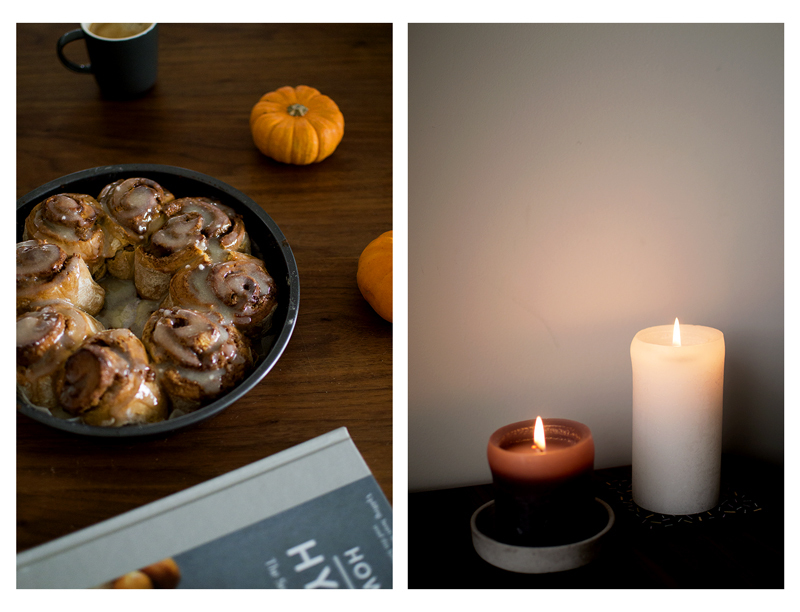 Can We Really Get Hygge? 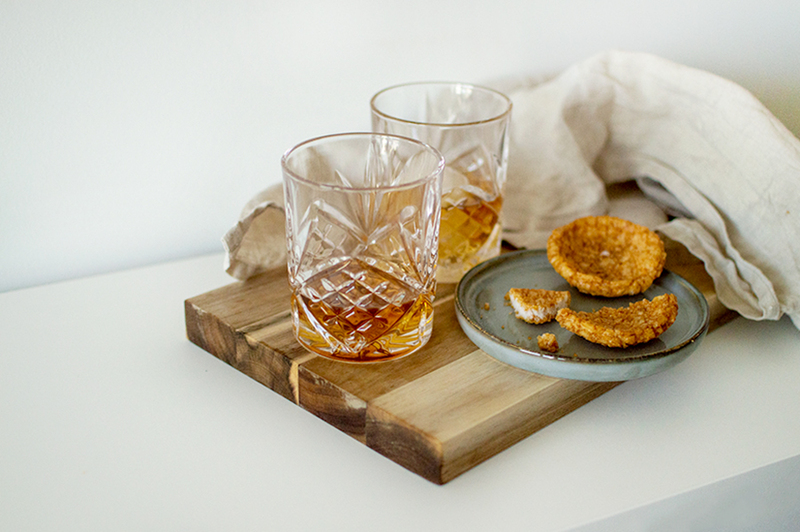 Hygge is not a new term, however it is having it’s moment in British culture right now. Autumn and Winter in the UK are characteristically dark, cold, and damp. Something our Danish cousins know about all too well. It’s at this time of year that people like to cosy up at home with their loved ones, pop on Netflix, and snuggle into the sofa with some comfort food. Not much different to what I was talking about before, right? 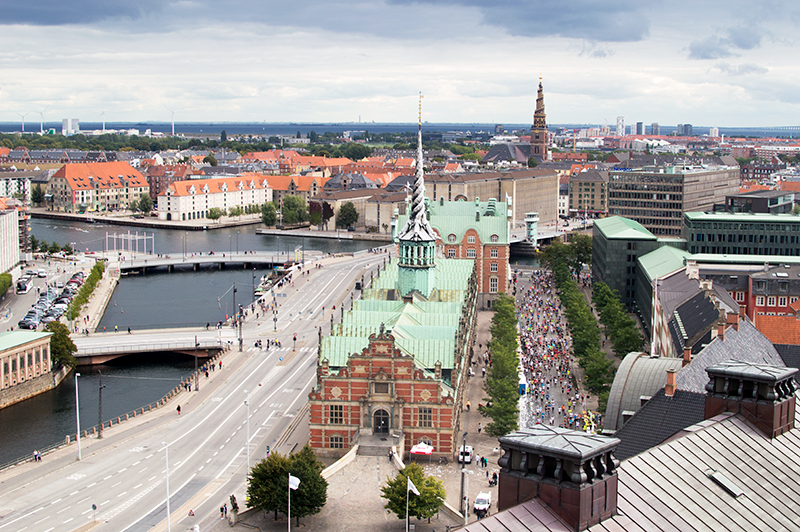 Denmark is well known as being the happiest country in the world. So it makes sense that us Brits would want in on it too. What with current political and economical events, we’ve all been left looking elsewhere for comfort. And I think hygge may just be it. 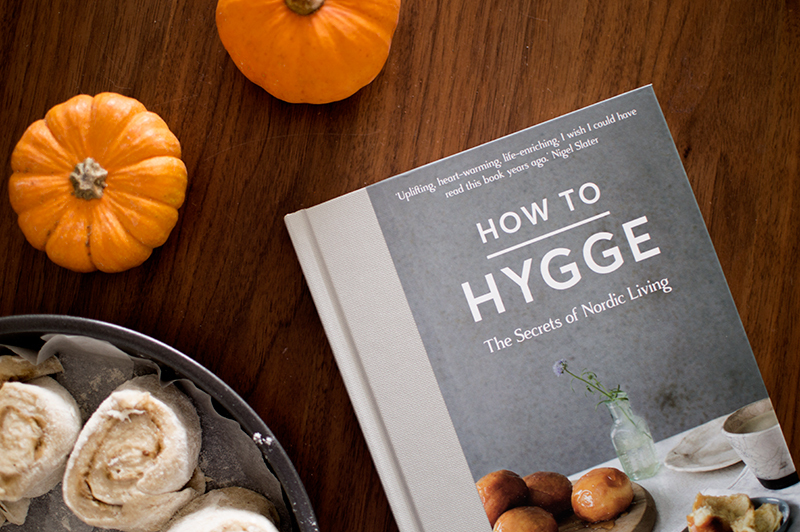 I’ll be writing a more in-depth guide on How to Get Hygge soon, so keep your eyes peeled! I kind of always knew I’d like Copenhagen. Admittedly I’m a Skandiphile. I love Scandinavia, right from the food, down to the design. But I’d never been before. My trip to Copenhagen last month was either going to make or break my love for our Northern European cousins. Ever since I came back from Denmark, I’ve had a bit of an ache in my chest. Falling in love with a country/city is one thing. But to fall for the culture, way of life, and people is another. Don’t get me wrong, I’m not about to up sticks and leave London. But Copenhagen certainly has left room for thought. I remember a very specific moment from my trip to CPH. We were cycling back from Superkilen, and on this particular day the main road had been closed. Families had come out into the street with their children, and there were thousands of people. We had to get off our bikes at one point because there were so many people. Families, friends, all were socialising together. Children and adults alike were drawing on the street in chalk. 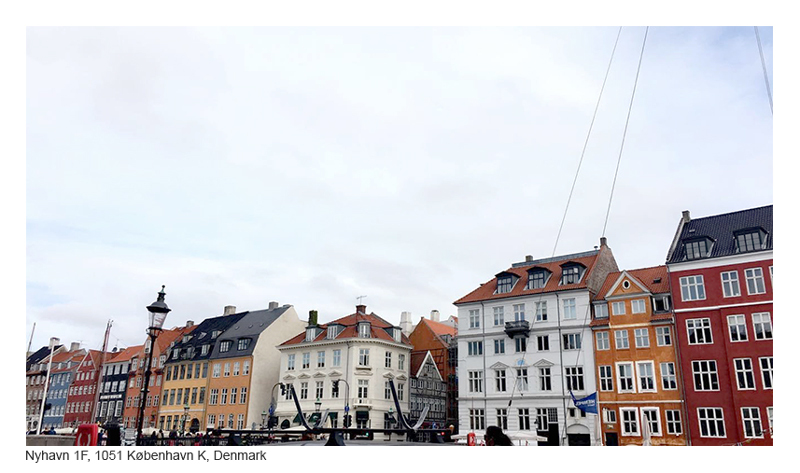 There were drawings of Copenhagen’s skyline, pokemon, loved ones, you name it. It was so wonderful to walk through all those people, and feel the sense of community. With everything that’s been going on lately in my life, I’ve done a lot of personal reflection. What I want in the next few years. Where I want to be. I’ve been reading ‘The Year of Living Danishly: Uncovering the Secrets of the World’s Happiest Country’ by Helen Russell. After seeing tons of people reading it in Copenhagen, I decided to give it a go myself. I was curious to learn more about Denmark, Danish people, and their way of life. Was it really as wonderful as it seemed? 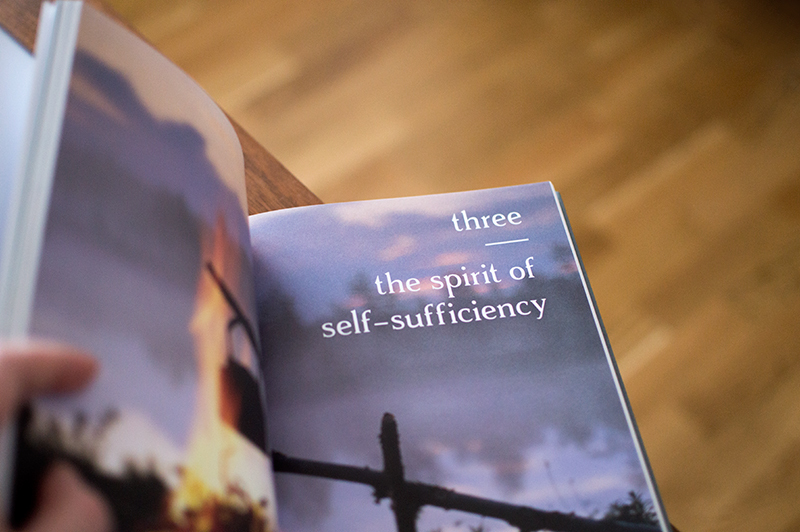 Well I won’t ruin the book for you, but it’s certainly opened my eyes to a new way of living. Life can be pretty hectic in London, and whereas I love it, sometimes it can be tiring. It’s also become a little old as of late. Part of me yearns for new discoveries. New life lessons. Somewhere less hectic, and a bit happier. Maybe living Danishly for a while wouldn’t be such a bad thing? Who’s to know. I guess for now, I’ll watch this space. Read more lifestyle posts here. 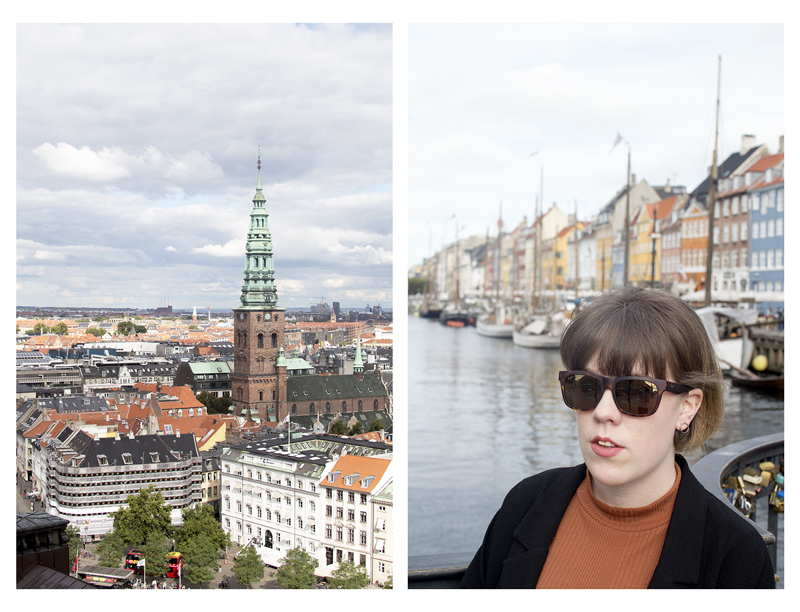 One of my favourite travel adventures this year has been my trip to Copenhagen. My first foray into Scandinavia. Well, unless you count watching Scandi-dramas, reading endless design books, and a perpetual desire for Danish pastries. Yes, I was over the moon to finally be here – I’m totally a Scandiphile – and trust me, I had an awesome time. 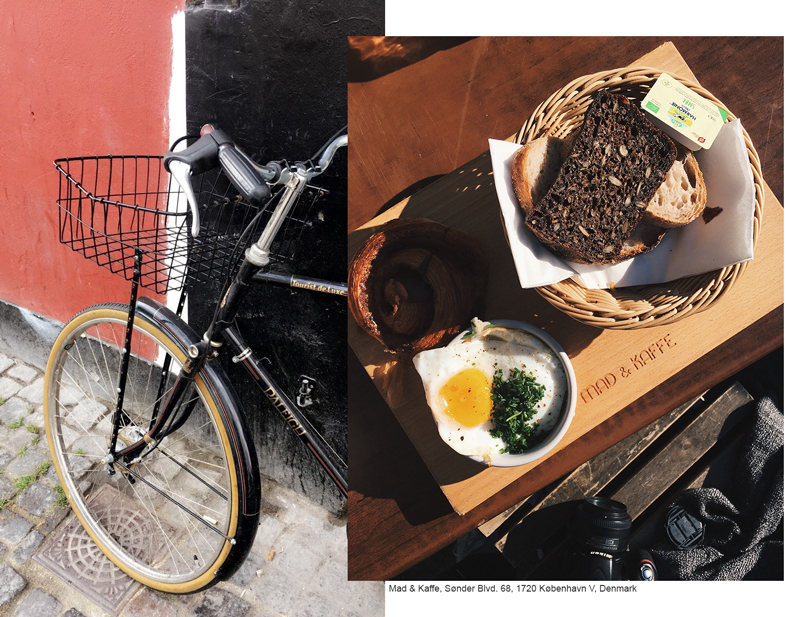 So without further ado, here’s my Copenhagen travel guide to help you through your 24 hours in the City of Cool! Hotels can be crazy expensive in Copenhagen, but have no fear, Air Bnb is here! Prices are more than affordable, and you get to stay with some of the locals – it’s win, win. 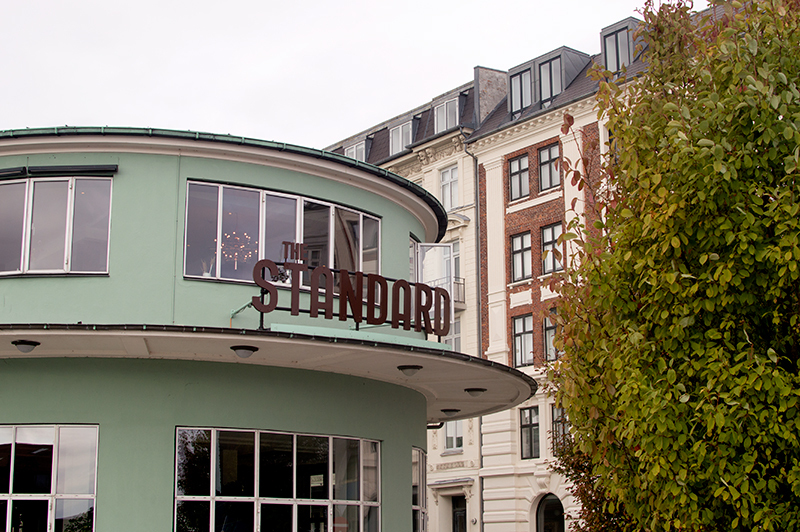 Otherwise known as the Downtown Copenhagen or simply K, Indre By is as central as it gets. Park yourself here and you’ll be right in the middle of it all. We stayed in Strøget – an area with plenty of shops, restaurants and things to do. I’d also recommend areas such as Frederiksberg & Vesterbro. Come on, you can’t come all this way without trying one of the countries most famous foods. Trust me, these are nothing like the ones you’ve had at home. 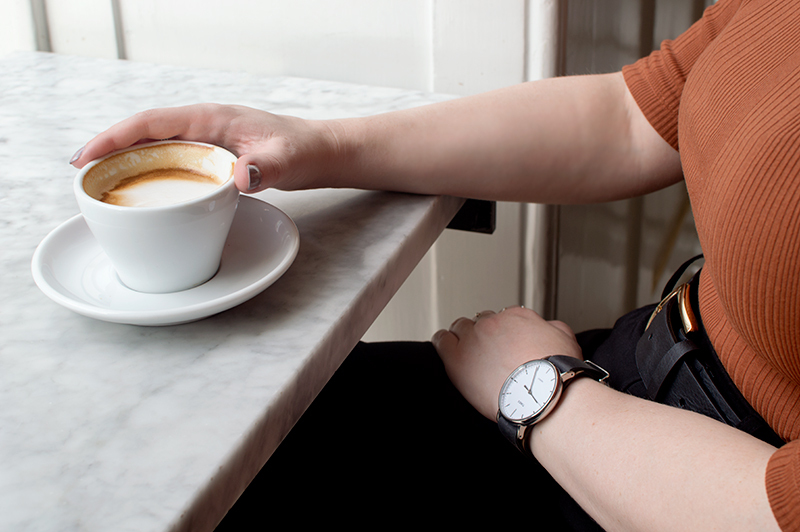 They’re found in most cafes, and pair perfectly with a coffee. Tip: try the Kanelsnegl from Vores Broed. Copenhagen is very cycle friendly. Every road has a designated lane for cyclists, with some areas only accessible by bike. It’s safe and easy to navigate, as well as being a fast way to get around the city. I’d recommend Donkey Republic – bikes that you can lock/unlock with your phone, for only £6 a day! This beautiful 17th century tower is only £3 to enter, and features a round “staircase” and a lovely view from the top. The inside is so Instagram-able though, you may not want to leave. 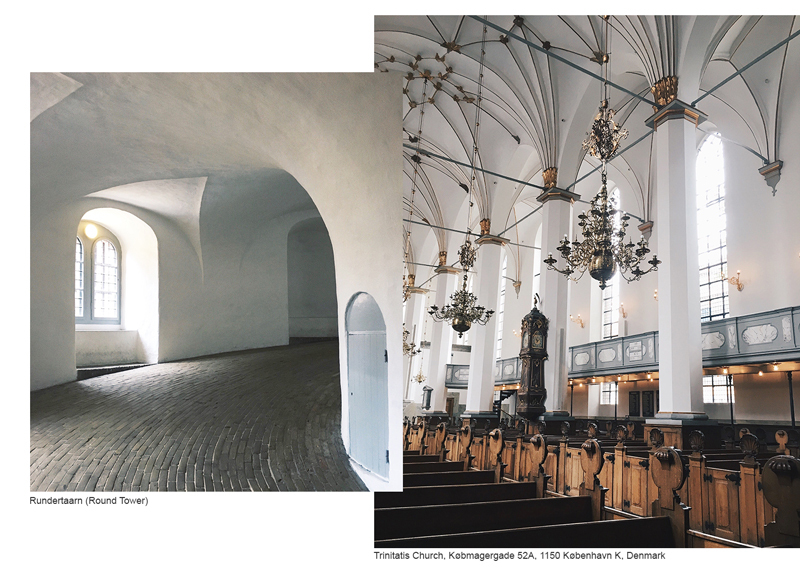 Next door to the Rundertaarn is a beautiful example of Danish architecture – Trinitatis Church. It’s free to enter, and open to all. 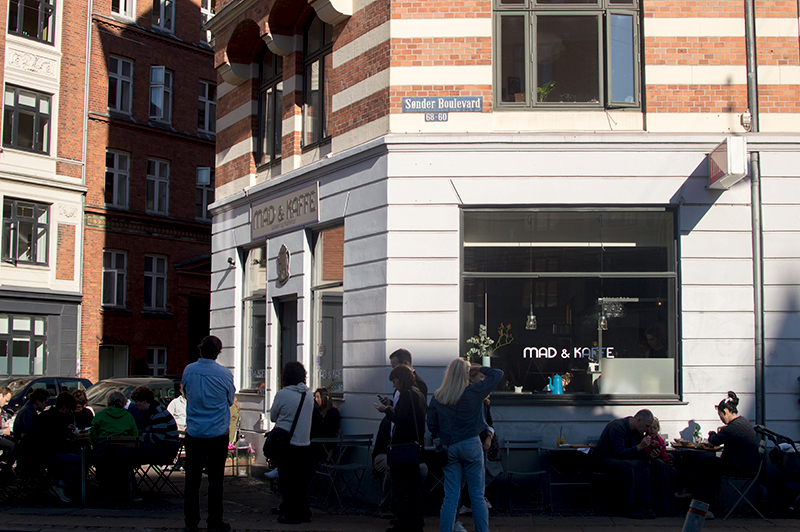 This street food market offers up some of the best food in CPH. If you want something entirely Danish, try Hallernes Smørrebrød. These open sandwiches are packed full of ingredients, and flavour. Tip: grab a few and share. 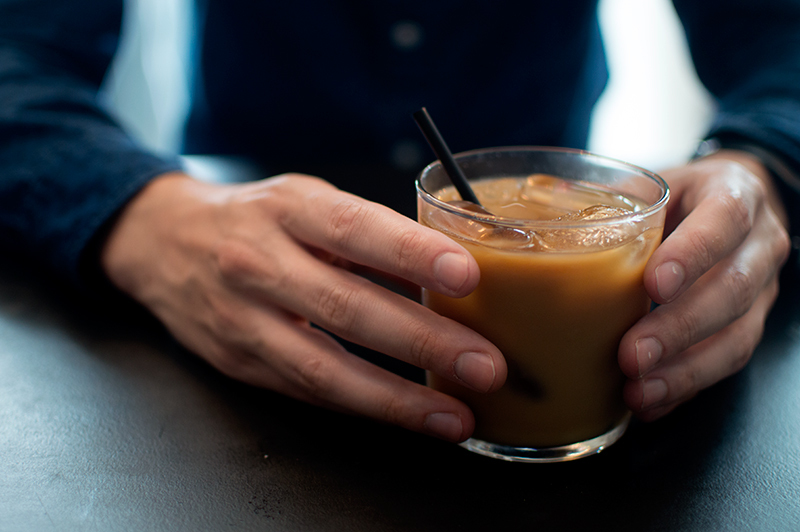 Stop by The Coffee Collective after for an espresso. You know, to keep you going. 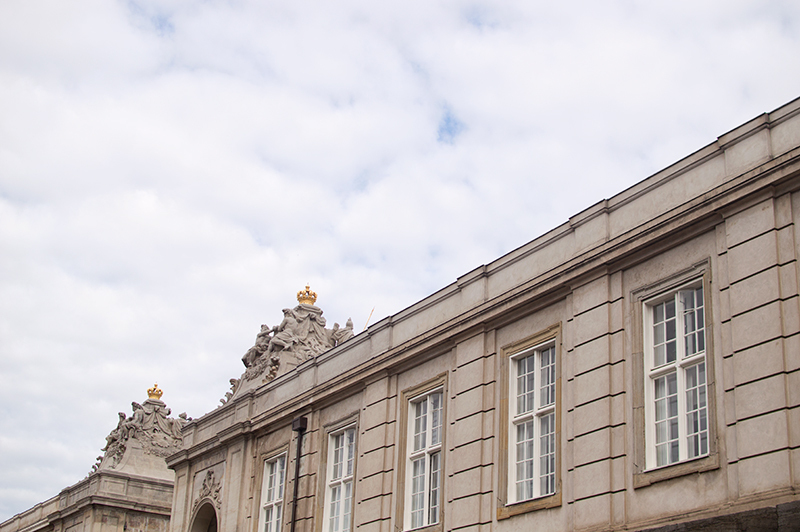 The former palace, now parliament, allows you to go up the viewing tower for free. The view is breathtaking, and on a good day you can see Sweden (including The Bridge). The restaurant below offers up delicious food, presented beautifully. Again, with a view. 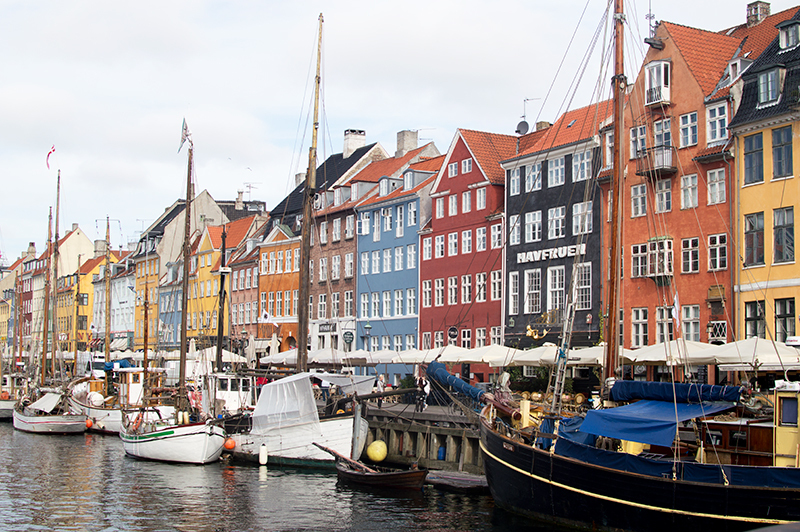 Nyhavn is probably the most photographed of all Copenhagen. 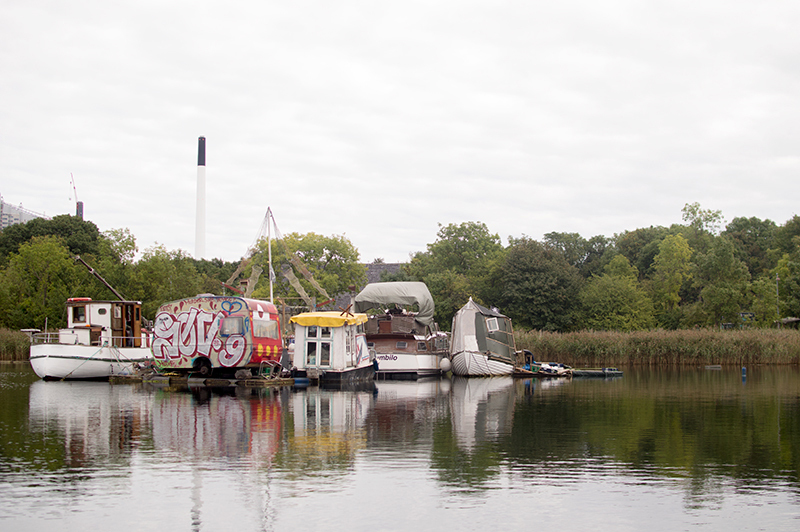 Boat tours run on a regular basis here, but I’d suggest Nettobådene (the small white kiosk opposite Charlottenborg Fonden). They run every hour, and cost only £4.80. Tip: these are half the price of others, but they do the exact same tour. Or at least until you have to catch your flight. 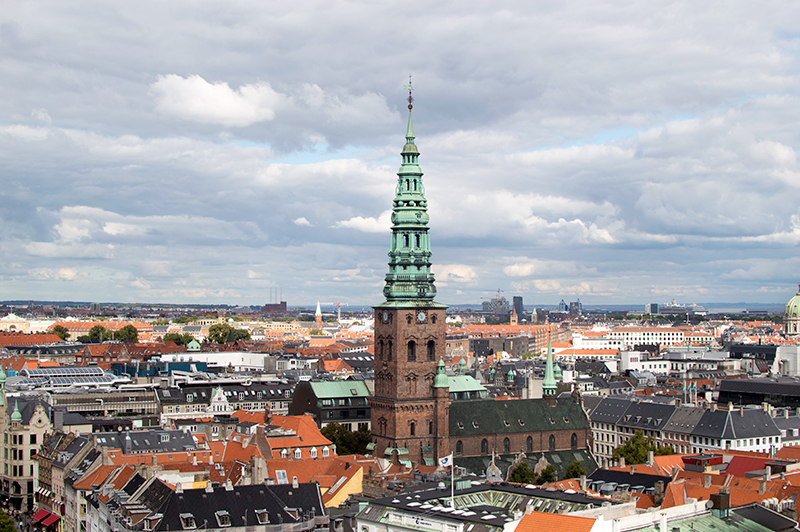 Strøget features a variety of shops, all in central CPH, and only 15mins from the airport. You’ll find Danish brands and stores such as Mads Nørgaard, Naked, and Illums (the best department store in the world tbh). The Hay House is also in Strøget, and is definitely worth wasting your time in. 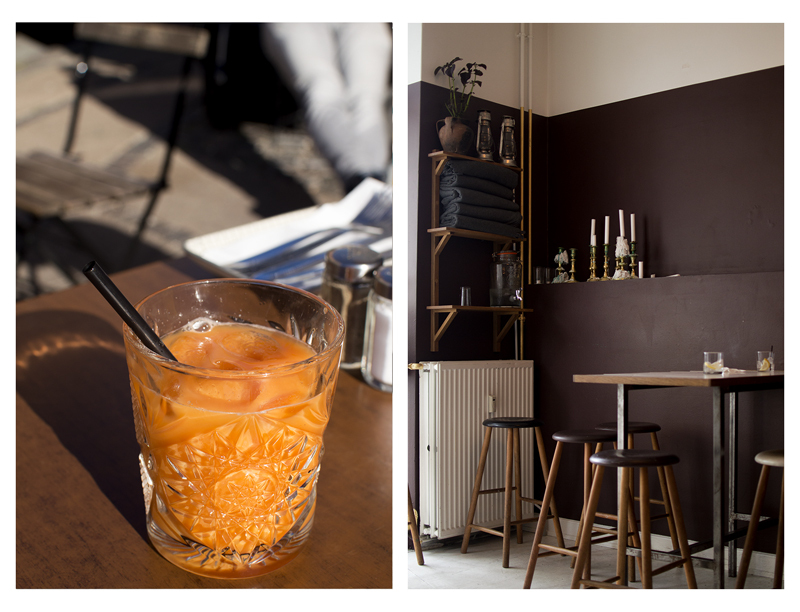 Københavner-caféen serves up traditional Danish dishes, in a relaxed environment. You must must must try the Flæskesteg (roast pork) – it’s super Danish, and incredibly tasty. Feel free to leave your own Copenhagen travel recommendations in the comments. 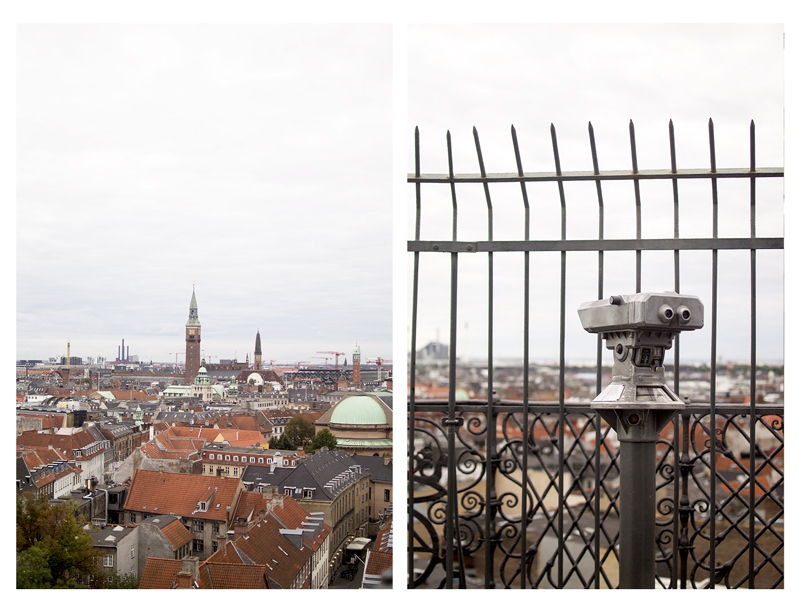 And don’t forget to check out my other travel posts – More Copenhagen posts coming soon! 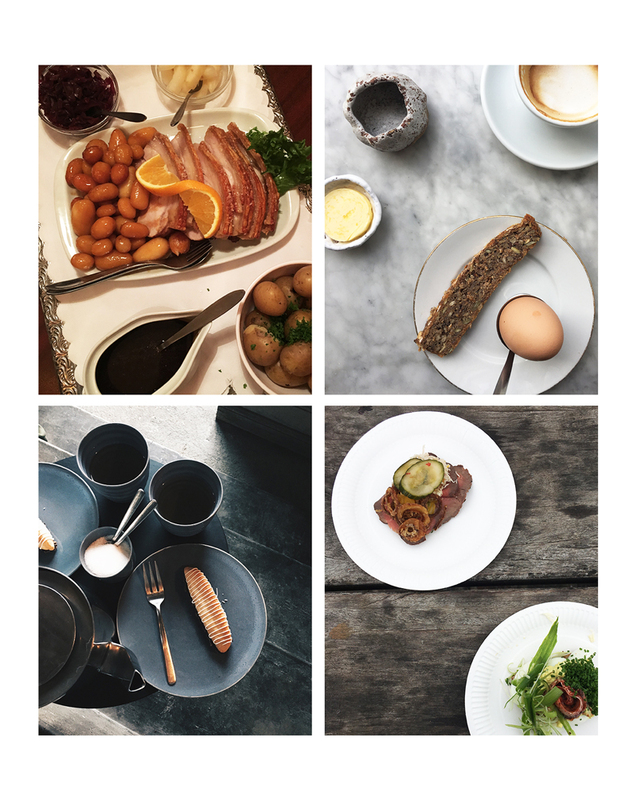 Atelier September: The Perfect Copenhagen Brunch? One of the first things I do when I spend a long weekend in a new city is find out where I can get brunch. As a fan of Scandinavian food, this task was made even more exciting when I travelled to Copenhagen last week. After consulting several books (500 Hidden Secrets of Copenhagen), my Cereal Guide and a few blogs, I had a decent list at hand. 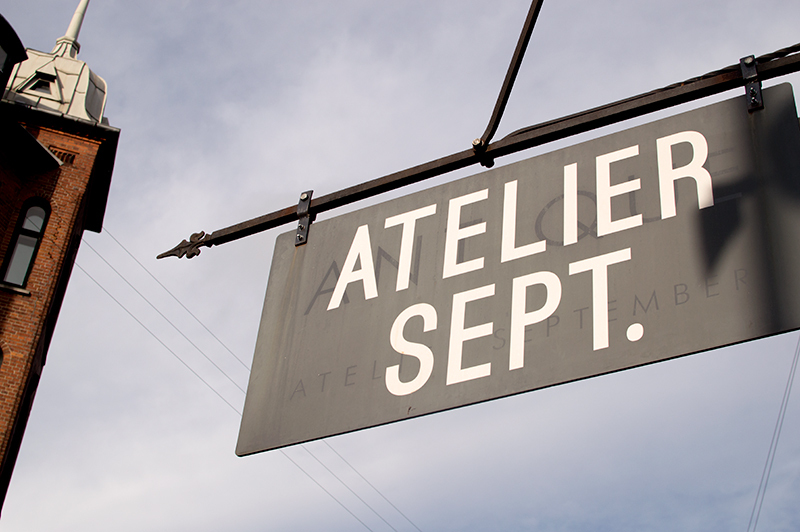 At the top of this list was a creative space with a difference – Atelier September. 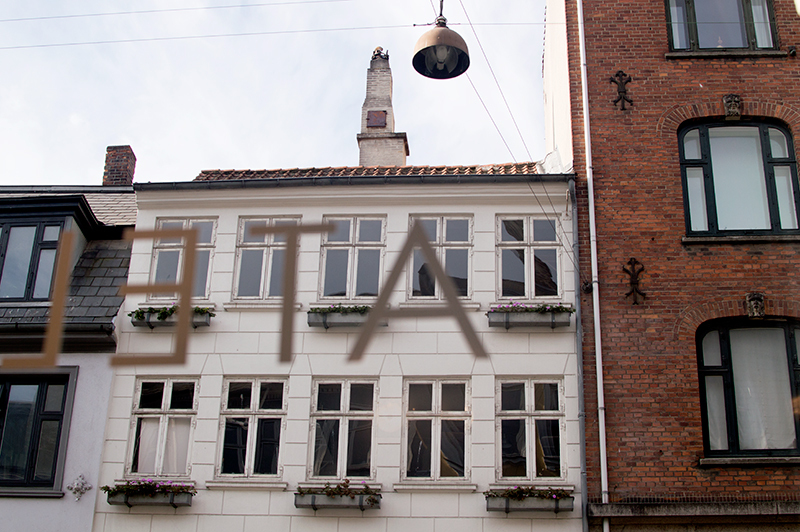 Atelier September is perfectly located a short walk from Copenhagen’s city centre, and just down the road from the popular area of Nyhavn. 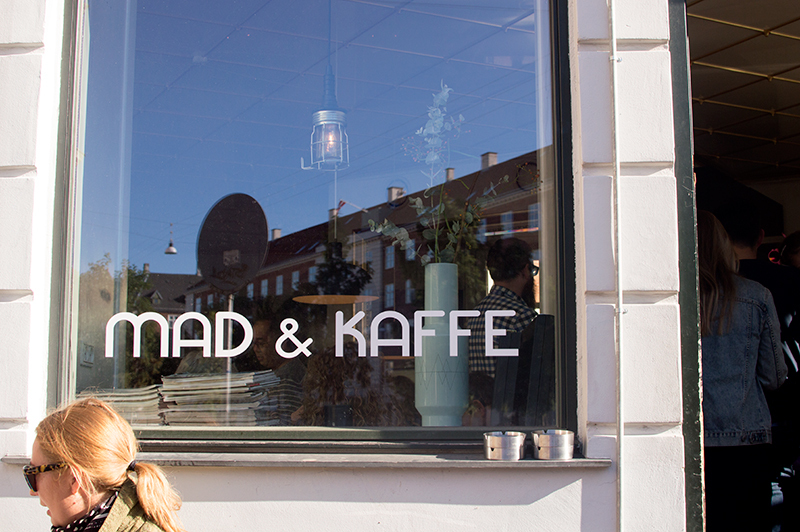 The cafe boasts bright, clean, spacious interiors at the front of the store, whilst hidden inside the back is a small interiors store/creative space – for all your Danish homeware needs. The cafe opens at 9am on a Saturday, and since I’m an earlier riser when I’m travelling, I headed over for opening time. I always think the popularity of a place can be seen through the dedication of it’s customers. We arrived around 9:05am and there were only two tables left at this point. Luckily we grabbed a window seat, so we could people watch…and you know, perfect lighting for blog photos. 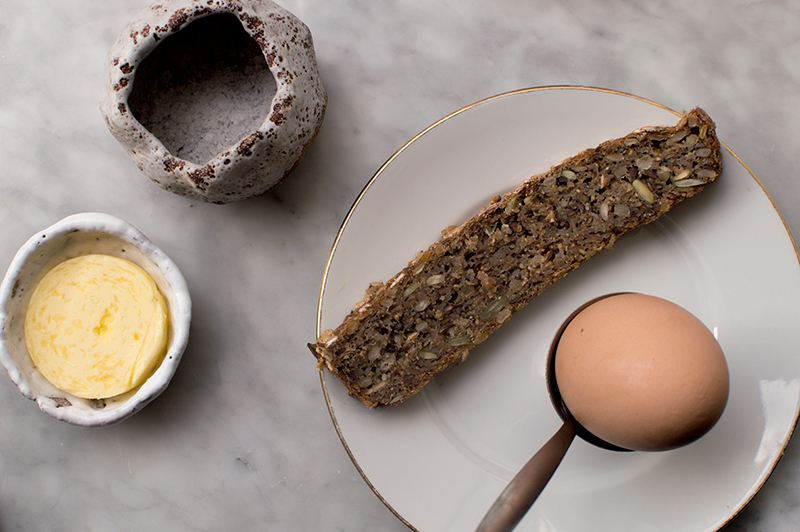 For breakfast, you’ll find eggs, rye bread, cheese, granola and fruit on the menu here. 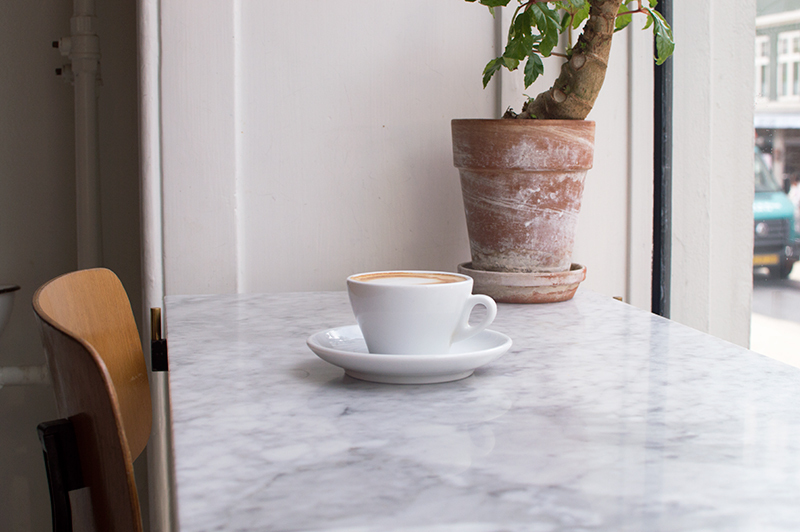 It’s simple, but perfect for starting your day on the right note. Lunch time sees a selection of cheeses, hams and breads. Not too different from breakfast, but a great selection none the less. I went for rye bread and egg. The rye bread was fresh, and the best I’ve had to date. I really loved that the boiled egg was still runny inside, and it complimented the rye bread well. It might sound and look like a simple breakfast, but it was delicious. The perfect start to my Copenhagen travels. As for beverages, Atelier September really excels at bringing variety to the table. Options include fresh pressed juices, matcha, soda, green tea and coffee. I like to start my day with the hard stuff, so I went for a cappuccino (no flat whites here!). I have no complaints. 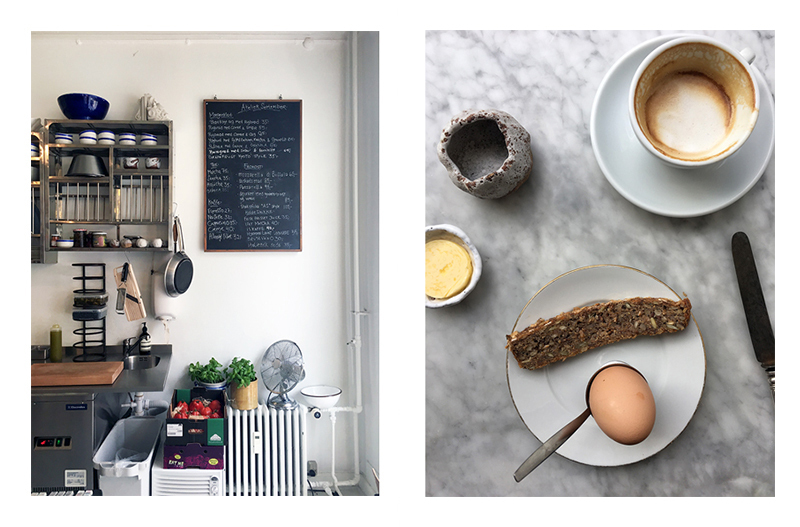 Does Atelier September offer up the perfect Copenhagen brunch? Definitely, especially if you’re like me and you don’t always want to over-indulge. If you do, that’s fine too, I’d just suggest you order a couple of dishes. 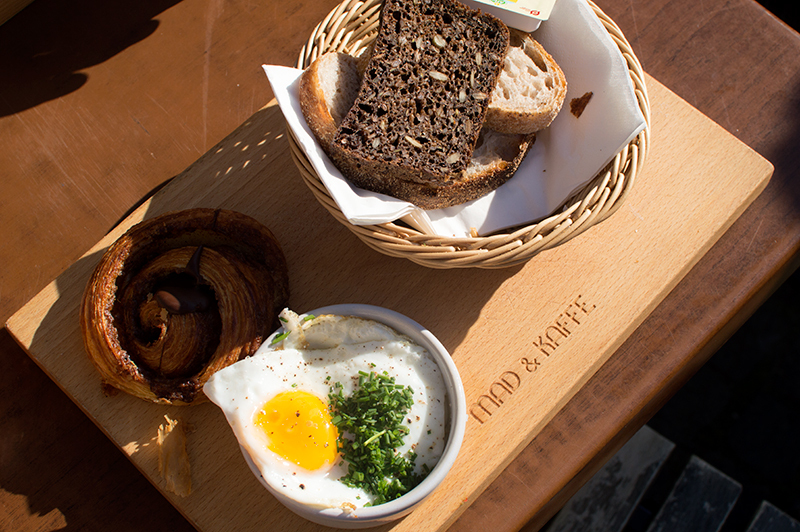 As for value for money, we paid around 140 Krone (£16) for two coffees, and two egg & rye bread breakfasts. That’s not bad when you break it down, and when you consider that you’re brunching in Copenhagen (it’s not a cheap city). The staff here are helpful, and offered us an English menu when I asked about an item on the menu (my Danish is limited to DuoLingo). Afterwards I chatted to the manager about how she wanted to visit London, and how she fell in love with Copenhagen and moved there. If a cafe has good staff, it will go far. And it’s definitely part of the success behind Atelier September. 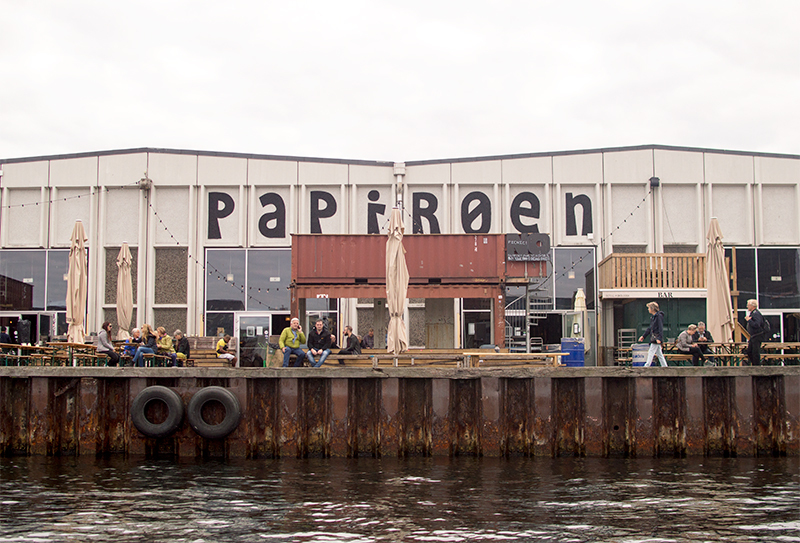 If you want a real Danish experience, head here. 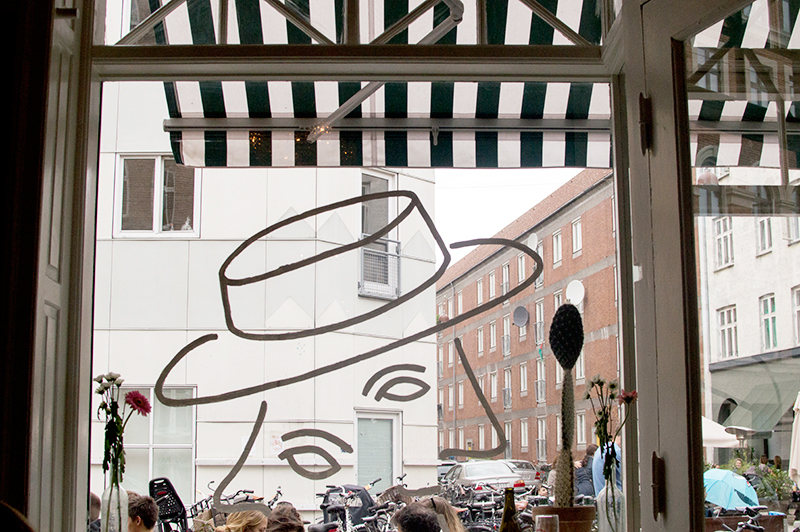 It’s a serious contender for the best Copenhagen brunch.